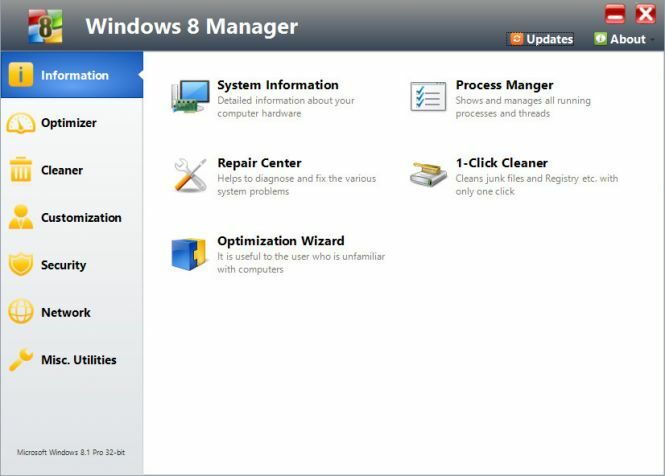 Windows 8 Manager - download in one click. Virus free. Windows 8 Manager is available for download without registration. It comes with a safe official offline installer for Windows 8 Manager. The utility has a simple straightforward interface that lets you use all the available features for managing Windows 8. There's the option to look at system statistics and see if anything needs fixing, updating, removal or modification. There are various tools for optimizing and tweaking system elements, including startup adjustment, task scheduling, manipulation and management of minor system elements, etc. Cleaning the system is always easier and more reliable with the built-in Cleaner tool which has advanced features like duplicate file finder, Registry cleaner and Desktop cleaner. System customization is also available. It lets users adjust and change elements of the Start menu, toolbars and desktop; security improvement by tweaking system components, UAC and login settings. The manager can even optimize the Internet connection by IP tweaking and browser optimization. 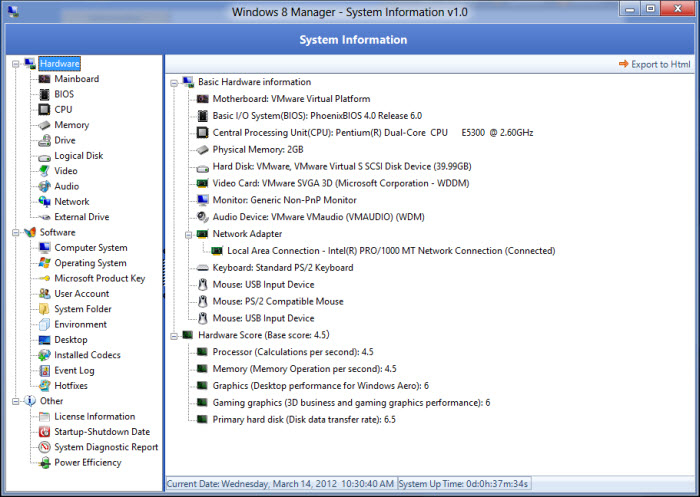 Windows 8 Manager also lets users create file backups and has various minor tools for managing Registry. 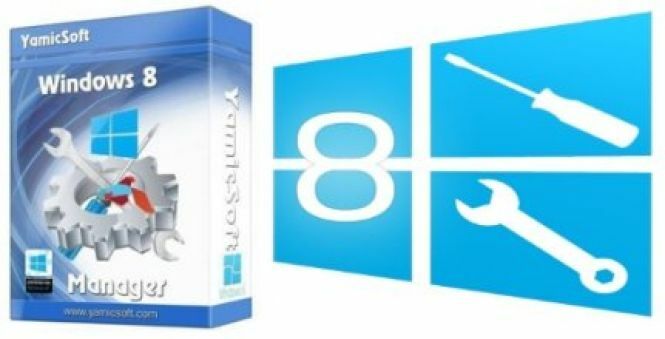 It's an extensive and competent suite for keeping your Windows 8 in the best shape possible.